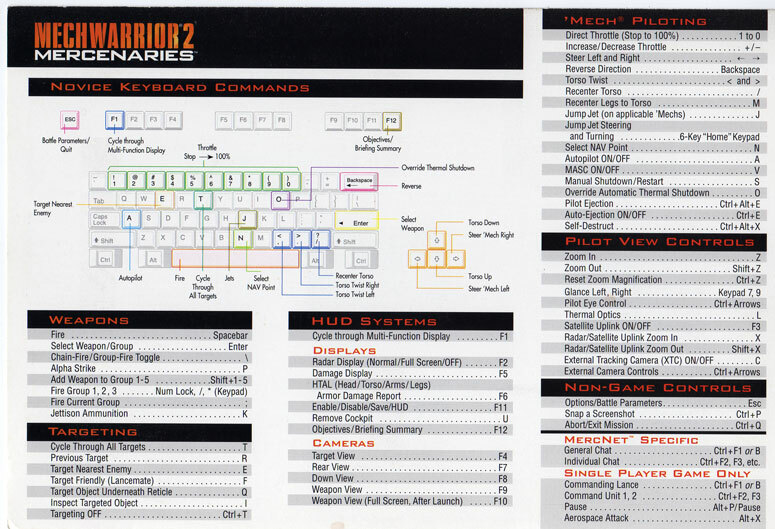 That's a cool website; I just grabbed the keyboard chart for Freespace 2. I never used any keyboard shortcuts in Fallout, though. Thanks! The next one I will add is Space Empires IV. BTW, I take submissions too! Just see the instructions on the page. all the game's keyboard hotkeys. I did get that but of what use is it? Old stuff, missing manuals, etc. I approve of this awesomeness. No more complex than many games. More complicated than Hegel's Phenomenology of Spirit.